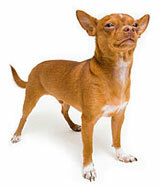 Home > Articles & Consumer Guides > Pet Loss > Is it Okay to Grieve for Your Pet? If it's “just an animal,” why do I feel so bad? The question ran through my thoughts, over and over, as I drove back from taking Juliet, my golden retriever of over a decade, to her very last visit to the vet. I couldn't stay for the needle. I tossed her into the arms of the receptionist and ran. I took a day off of work. Seriously. To a non-pet owner this makes no sense. It's just a dog. It's not like my grandmother died. But I felt like my grandmother died. In fact, to be completely honest (sorry grandma), I felt worse then I did when my grandmother died. One minute I expected Juliet to pop up around the corner, the next I was guilty for not squeezing in one last walk when I had the chance. Did I really need to board her last Christmas? She must have felt so alone. “It's OK to be mad,” he told me. What did he mean, mad? I wasn't mad. Was I? I mean, I had sworn never to go back to that vet again, but I didn't really blame them. Or, I guess, on second thought, maybe I did. Only slowly, did I begin to understand that many emotions comprise the grieving process. Sometimes you feel them in stages, and sometimes you feel all or part of them all at once – much like being pelted simultaneously by rotten apples, oranges, and bananas. They all feel bad, but you're not really sure which source you should address first. After the loss of your pet, you may feel empty inside, you may feel depressed and withdrawn – you may even be angry. No matter how you feel, it's important to understand that it's perfectly normal to go through stages of grief, just as you would after losing a human loved one. Denial. During the denial stage, you may ignore your feelings of sadness or even deny the fact that your pet is gone. You may feel nothing at all. These feelings of denial can sometimes happen before the loss of a pet: For example, if your pet has been diagnosed with a terminal illness, you may deny that there is something wrong. Anger. The loss of your pet can lead to feelings of anger. You may find yourself feeling hostility towards your pet's veterinarian for not being able to save or cure your pet; you may even be angry at yourself, especially if you've had to make the difficult decision to euthanize your pet. Grief. After anger, true sadness sets in. Grieving is different for everybody, and everybody works through it at their own pace. Just remember that it's okay to cry and feel sad – don't be afraid to talk to a supportive friend or family member who understands how much your pet meant to you. Acceptance. Acceptance doesn't mean that you've stopped loving or thinking about your deceased pet, but it does mean that the pain slowly starts to go away. 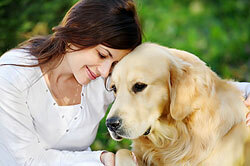 When you accept the loss of your pet, you are able to remember the many happy times you had together. Over time, you may even decide to welcome a new animal friend into your life. There's no right or wrong way to grieve after the loss of your pet. You may choose to hold a small memorial service for your pet, or you may decide to make a charitable donation to a local animal shelter in your pet's name. Sometimes just talking about it can help: Talk about your loss with a caring friend, or join an online support group to connect with others who have recently lost a pet. Six months after I said goodbye to Juliet, I got a new dog. Getting a new pet can help you move on as well, as long as you understand that your new pet will never replace your old one. Your new pet is a different soul under your care, and it wouldn't be fair – for you or for them – to try to mold them in your last pet's image. Today, over two years after Juliet's death, when I watch one of those sappy dog movies, I still sometimes have to pretend my allergies are acting up so I can get a Kleenex. And I doubt I'll ever be able to look at Juliet's old pictures without smiling a sad little smile. But as time goes by, the pain has gone away. And gradually, it will for you, too. Then one day, you'll be joking with friends at dinner and you'll realize that you just told a story about that camping trip you two went on, or that time she tore up your grandmothers futon, or the time when she chased after the great dane ten times her size, and you'll realize that everyone laughed. Including you.